Australia is one of the most exotic educational abodes that attract over 6,000 international students on a yearly basis. While there are several institutions more than willing to receive student enrollments from anywhere in the world, it creates confusion about the options most suitable for you. Australia has innumerable attractions when it comes to work flexibility, national safety, amiable coalition on government level with most countries, and so on and so forth. If you are looking to get into the top universities in Australia, here is what you need to do. Australia houses over 40 state-accredited universities offering specializations in various subjects. 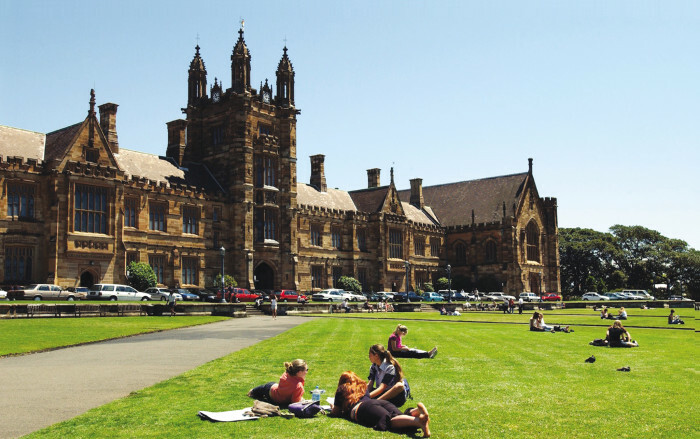 You need to research about each of these options thoroughly in order to identify the best Australian university for yourself. This does not only mean keeping an eye on the course of your choice and the universities offering these, but also looking for their policies, fee structures, accommodation facilities, campus life, survival tactics and other similar resources. It is not only about surviving a day or two in a foreign university but rather about spending years at a stretch! Go through their resources thoroughly to make sure your basic needs are met. Before you can actually savor the academic environment at your selected Australian universities, you need to go through the tedious admission and visa processing procedures. It is recommended for you to apply at more than one university while trying to secure your admissions. This ensures you have a contingency plan in case your primary plan does not work out. Since the admission dates and deadlines are closely synchronized, you might not be able to build your secondary plan at a later date. Most universities demand TOEFL or IELTS scores. The minimum TOEFL score accepted at most institutions is 213/300 or above. For IELTS, it is about 5-6 for secondary school courses and 6+ for higher education. Make sure you have your results ready well in time to make the most of your academic opportunity. As far as visa processing is concerned, keep in mind that this would be slightly easier (and surer) if you have already secured admission in a university. However, it is possible for you to apply for other types of short term visas as well. Make sure you are in possession of an appropriate student visa while entering the university to protect yourself against unlikely outcomes or complications at a later date. Visit the Australian embassy in your city at the earliest to find out the requirements and visa application process. Evaluate the resources available to you practically before making your way into Australia. You will need to pay the tuition fees, the cost of accommodation, the cost of educational resource material and several other miscellaneous expenses that may be significantly more than any estimate you see online. You need to have safety cash to protect yourself against bankruptcy. If you don’t have the kind of cash you need to survive university, make sure you’ve checked through scholarship opportunities and loans conditions previously. If nothing else works, rest assured most universities in Australia will allow you to work part-time alongside your education. Know your plans of action in every situation that may or may not happen to you! The rest should be fine! Do you know a story that needs to be told or an article to publish?